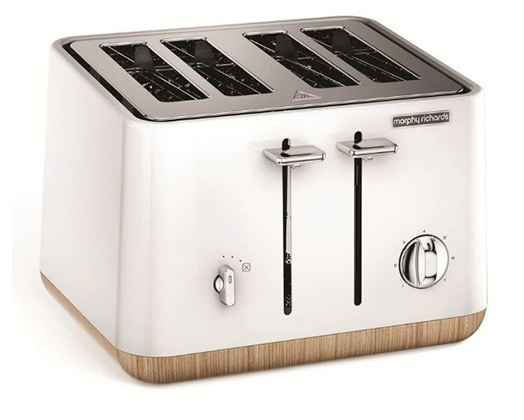 Home Products Morphy Richards Toaster 4 Slice Stainless Steel White 1800W "Aspect Wood Trim"
Morphy Richards Toaster 4 Slice Stainless Steel White 1800W "Aspect Wood Trim"
Morphy Richards presents their stunning Aspect Toaster. A powerful 1800W, 4 slice toaster with variable browning control, a high-lift facility and a reheat and defrost function. All this enclosed in a stainless steel body with high quality white paint.